How do I Make Fudge From Cocoa Powder? If you're out of baking chocolate you don't have to give up on the idea of homemade fudge. You can substitute cocoa for baking chocolate, using 3 tbsp. cocoa powder plus 1 tbsp. butter for each ounce of baking chocolate called for in your recipe. Add the cocoa with the sugar at the beginning of the recipe. 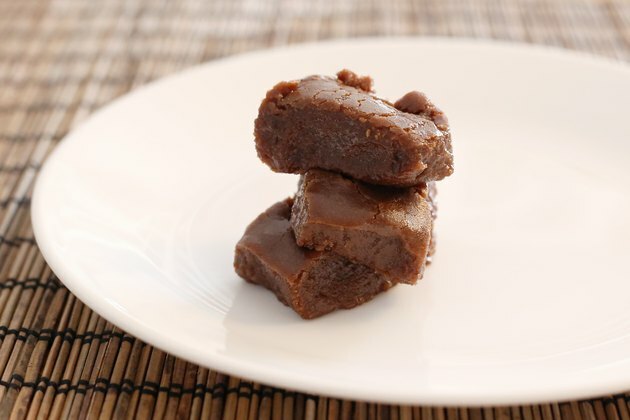 While you don't have to have a candy thermometer to make fudge, it does take the guesswork out of the process. 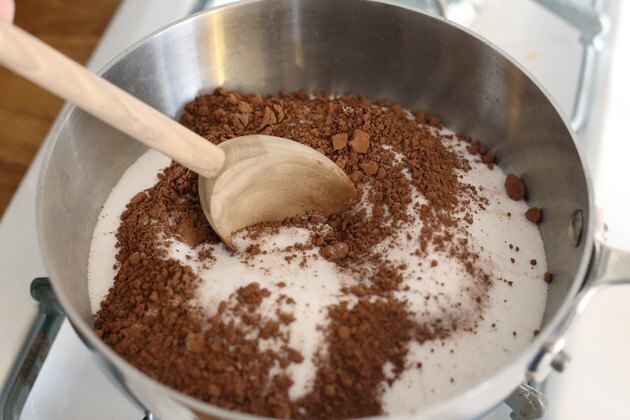 Combine sugar, cocoa and salt in the saucepan. Stir to mix well. Pour in the condensed milk. Place the pan over medium heat and stir until the ingredients combine and the mixture comes to a boil. Leave the pot on the stove but stop stirring. Stirring after the mixture comes to a boil can cause sugar crystals to form, making your fudge grainy. 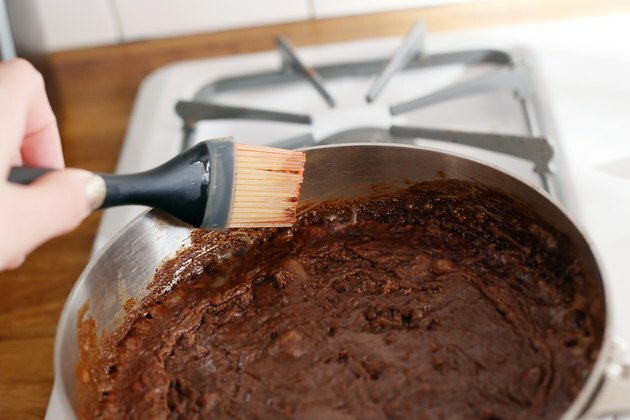 Dip a pastry brush in water and use it to wipe down the inside of the pan as the mixture continues to boil. This keeps sugar crystals from forming on the sides of the pan. 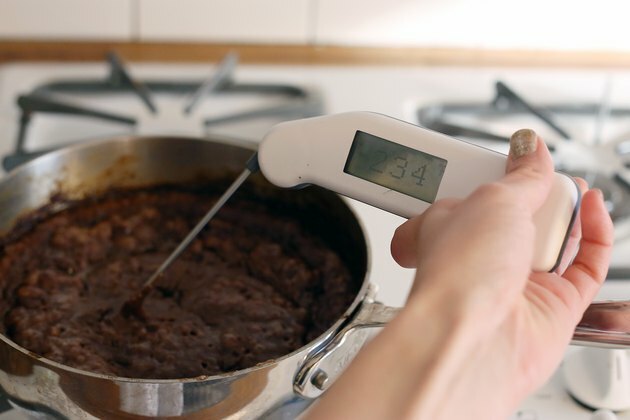 Boil until the fudge syrup reaches 234 degrees F. on a candy thermometer, or until a drop of syrup placed in a glass of cold water forms a soft ball. Remove the pot from the heat. Add the butter and vanilla and beat with a wooden spoon for five to 10 minutes. 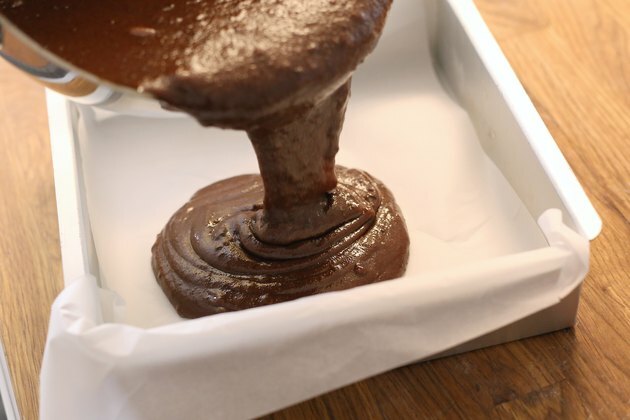 This incorporates air into the mixture and ensures that your fudge will be smooth and creamy. Pour into the buttered pan and allow to cool until firm. 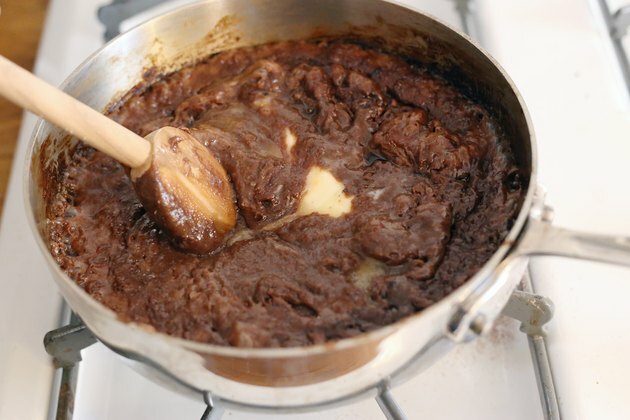 The Science of Cooking: What's Special About Fudge? How do I Make Sugar Free Lollipops?